Our NTF 400 – Extra Long Panel is the strongman of our popular temporary fencing series, and displays incredible durability and sturdiness even in the toughest and most unforgiving of environments. 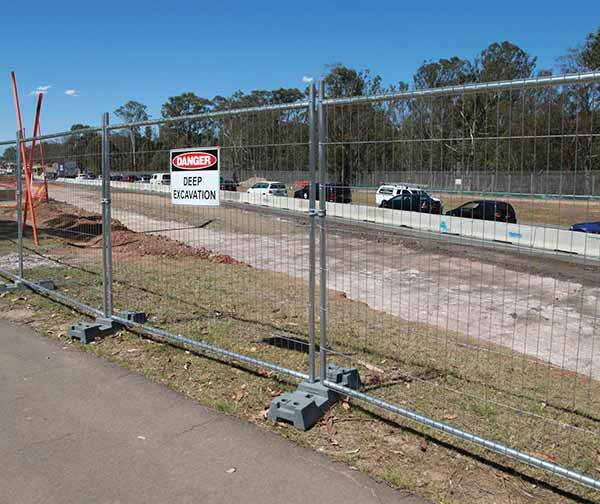 This temp fence solution is designed to withstand long-term and intensive use on heavy duty sites such as demolition and construction. The panels hold up even under the stress of repetitive vibrations and jolts thanks to additional bracing that guarantees greater shock absorption and stability. We highly recommend this temp fence option for long, rigorous projects that require infrastructure with sufficient stamina and quality. Despite the durability of our NTF 400 – Extra Long Panel, it still manages to be surprisingly lightweight, which means it’s a breeze to install, dismantle and transport. Sturdy mesh offers unparalleled safety and stability in a convenient package.